Fan's you know some of the best and most organized research is being lead by Derek Randles through the Olympic Project organization he co-founded. We have had the fortune of attending two Olympic Project weekend expeditions and each time it is like taking a master class in Bigfooting. Click the following link to read about the March 2013 Olympic Expedition with Cliff Barackman. 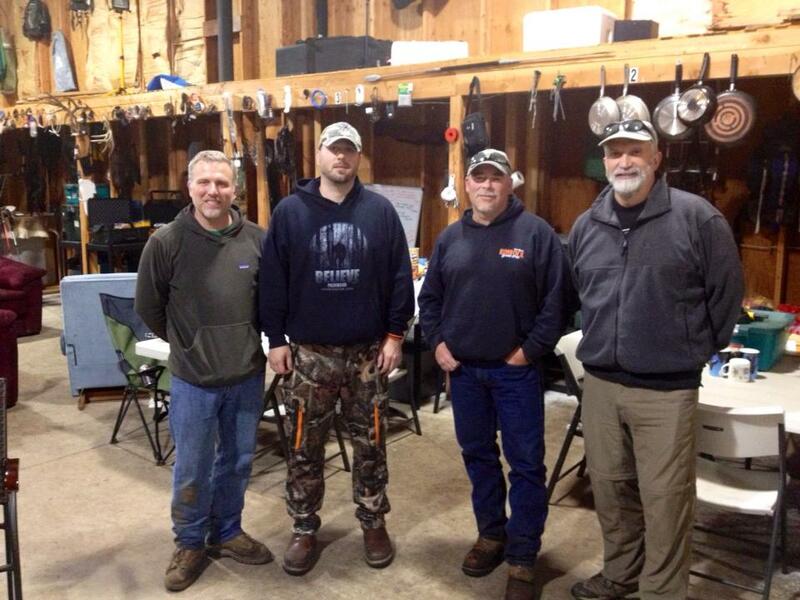 Last May continued the momentum with the return of Cliff Barackman and the addition of Dr. Jeff Meldrum!! This was truly a master class in Bigfooting. Dr. Meldrum was approachable as always, and did a novel presentation. It was almost an extended version of his new Sasquatch Field Guide (Folding Pocket Guide). The expeditions take place in the Olympic Peninsula, the most diverse region you will ever do field research in. 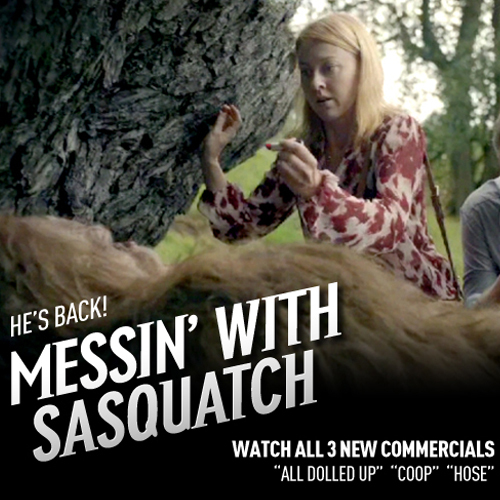 In fact we can't resist, we have to say it, "It's squatchy!" Derek and his team make sure there is plenty of optional activities. Day hikes, night hikes, big groups, small groups. There are even people who stay behind in the main lodge to talk Bigfoot with. Icing on the cake? Finding Bigfoot's Cliff Barackman demonstrating how to cast a footprint. This is a report that was published in Ray Crowe's Track Record in 2001. Bobo may have at one time gone by Jay instead of James, I don't know, he has always been Bobo to me. I think the age is incorrectly reported as well. Regardless of those minute details, this is a great report full of blood curdling details. I also like that it was investigated by Joe Beelart (read more about Joe Beelart) and reported over the phone to Ray Crowe. Jay “Bobo” Fay had a series of incidents in northern California in late May, 2001. The sighting was referred to Joe Beelart for investigation. The site, east of Arcata, California, near the Klamath River and in the Bald Hills near Weitchpec, and east of Orick to north near Schoolhouse Peak. The following abstracted from telephone notes of Joe Beelart. On May 21st, Jay (nickname Bobo), went to the mountains near the Klamath River, 15-18 miles NE of Orick on the north side of Bald Mtn., three to five miles north on Johnson Road. and when alone at night, he was aggressively confronted by two and possible three vocalizing, limb breaking, sasquatches. He heard knocking of wood-on-wood on the Bald Hill road. Twice, there were two sharp blows, about 100 yards away in the treeline. Canine howling after 9pm from several miles to the NW...coyote, dog, wolf. As they came closer howls became a man-wail. They were answered from his immediate left at 9:30PM. There was brush moving, loud snaps of sticks breaking, and motion to his side. At 150 yards in the tree line there was a vocalization of, “AHHH,” like huge exhalings and lips flapping like a horse sound. The two howls merged, maybe a third was there also. Never saw anything. The closest they came to the vehicles was 50 yards. A pit bull in the truck made no noise and had tail between legs. On May 22nd. Bobo went to area again, alone. Another display of vocal aggression, but not as close as the previous night. May 27th. (Allegedly) A huge 9 foot creature (gauged by stump height) bluff charged John’s car at 11:15pm. A Starlight viewer of Russian Ukrainian model, Gen. II night scope used for viewing. It was snorting, a nasal noise, bobbing up and down, for 10-20 seconds. It was big and block shaped. Would raise arm over head, like a big monkey. There was no neck, a giant black blob, moving through tree line. When running there was a huge boom-boom sound, but padding could also be heard. A large thump was heard as if something was thrown. No tracks were found. At one time it tried to stand behind a small tree, but stuck out 1 1/2 feet on each side, but still tried to “peek” out. It bobbed its head continuously. Ray Crowe met “Bobo” at the opening of the Bigfoot extension museum in Willow Creek (he had some reports). By the way, I highly recommend purchasing the digital version of the Track Record. You can buy the Track record at Amazon.com. The track record has over 174 Newsletters spanning the years 1991-2007 containing over 3000 pages. 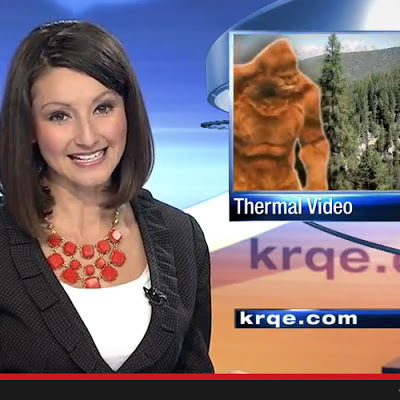 As editor, ray Crowe did a fantastic job collecting all sorts of Bigfoot lore. Don't call them River Monsters! They have feelings! I love good skeptics, I hate lazy ones. When I say this I always cite my favorites. Sharon Hill of Doubtful News and a Huffington Post contributor and Brian Dunning of Skeptoid. Most others reach for the low hanging fruit or are just contrarians. These last two category of skeptics, the fruit-pickers and the contrarians, are unimpressive. Yes, this assumes I am worthy of being impressed, and truth be known, I can't think of a better person I would like to spend time impressing than myself. back to lazy skeptics, more specifically Kyle Hill (pictured left), a science writer who specializes in finding the secret science in your favorite fandom. Hill has also contributed to Wired, Nature Education, Popular Science, and io9. At least that what is says on his bio for Scientific American. Today he wrote an open letter to Animal Planet asking them not to blur the lines between real and fake using shows like River Monsters, Finding Bigfoot, and Mermaids: The New Evidence as an examples that create an uphill battle for serious science educators. Boo hoo. Science is a method, teach the method and let people educate themselves. The gist of his argument is real fish should not be called "monsters" and mythical creatures should not be considered real. We agree, leprechauns and unicorns should not be considered real--oh wait, he's putting Bigfoot/Sasquatch into this mythical category. Read for yourself below as he tries to protect the reputation of fish and uses the same knee-jerk arguments against the Bigfoot evidence. 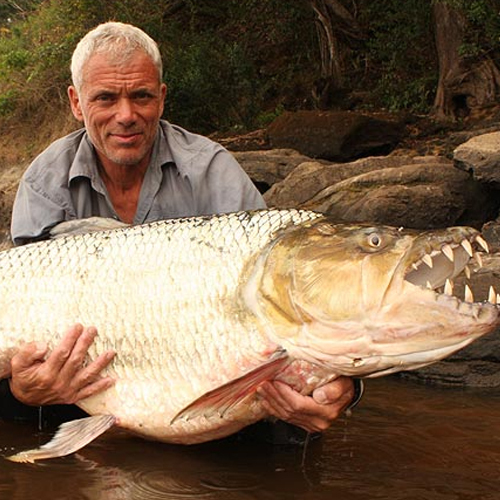 I don’t want to see a legion of fisherman descend on the Congo or Amazon rivers to wipe out tiger fish, or any other animal, out of misplaced fear. Each time River Monsters decides to characterize a fish as a “flesh ripping chainsaw mauling atomic assassin,” the possibility grows. Don’t turn magnificent creatures into mythological horrors. And don’t turn mythological horrors into real creatures. I’m afraid I can’t speak highly of your track record when it comes to presenting evidence-based programming, considering that Finding Bigfoot never finds, and won’t ever find, Bigfoot. But never has it been worse than with Mermaids: The Body Found and the upcoming Mermaids: The New Evidence. Cryptozoology persists precisely because there is no evidence for these creatures. If we actually found Bigfoot or mermaids, they would be studied, cataloged, and brought into the wide swath of biological knowledge. 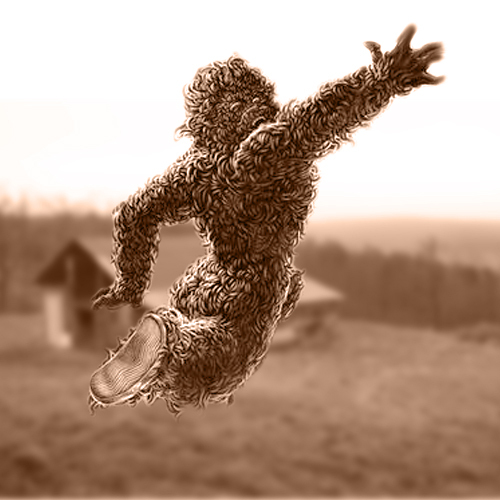 Bigfoot does not exist because there would be evidence left behind—hair, feces, bones, kills, offspring, a carcass—if it did. Considering how many expeditions have attempted to find this evidence and have come up short, in spite of the Bigfoot hunters who claim these creatures number in the thousands, we can effectively rule Bigfoot out. Admittedly, it’s hard to criticize the search for mermaids in the same way. We only recently captured the fabled giant squid on camera. But the difference between these sea monsters is that the squid, prowling the depths off Japan, leaves evidence behind (beaks, tentacles, whole carcasses). Funny how footprints and casts never make the list of missing evidence. And there have been potential hair and feces samples that are currently being investigated by Bryan Sykes of the University of Oxford. I also think it is crazy that people assume a population of thousands should be easy to find. We have downed airplanes that we can't find in the wilderness, and those had trajectories to give us clues! Finally, these are TV shows not documentaries. Anybody who's research stops at a TV show bracketed by commercials and ads is not someone you should care to persuade anyway. Let Animal Planet entertain, because I think people are smarter than Kyle Hill gives them credit for. 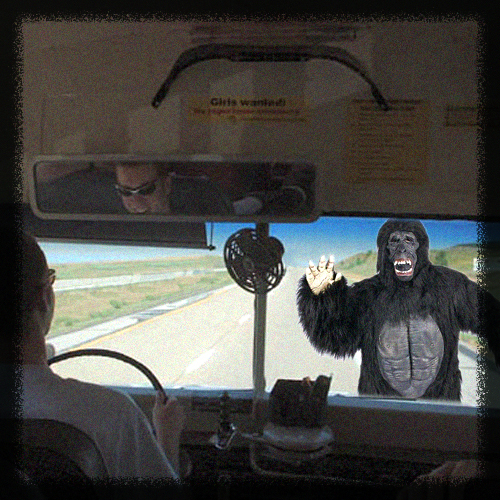 Canadian bus driver and 6 passengers claim they saw Bigfoot. The hoaxers eventually did fess up, but as Rene has said this is an important hoax to dissect. So that's what we are going to do. But first let's start with the sighting. As the story goes a Canadian bus driver named Pat Lindquist, who also happened to be a reserve Vancouver city police officer, was westbound a mile east of Lake Erroch on the Harrison Hot Springs-to-Vancouver run when he saw a 7 foot tall creature with black fur and a light colored face. It was estimated to be 300 pounds, but weight estimates usually just indicate it was heavier than the average human--very hard to guess visually. "The first thing I noticed was the smell...a horrible smell like very rotten meat. The bush was thick and I was pushing the branches apart when I saw it about 20 or 25 feet away. I just couldn't believe it." "At first I was mad. But then I went to awe and then to fright and I began to shake. I couldn't stop shaking and then I got out of there." The smell has been a common element in the reports from numerous people who claim to have been close to the Sasquatch, also known as Bigfoot. broad chest and it was heavy up and down." "It could have taken two steps and grabbed me, but it didn't do anything. It didn't growl. It didn't show its teeth. It just looked at me." Lindquist said the hair on its face was a light brown and "it appeared to have the mange; the skin underneath looked kind of white." Ten days later the perpetrators admitted on radio that it was a hoax. Now, for those of you that think that we shouldn't dissect this hoax and give hoaxers any tips. I don't think there should be a concern. Either there is evidence or there isn't, otherwise it is just a story. This hoax was composed of a team of four individuals and took weeks to prepare for, in fact they started by selecting a bus line and planted a passenger that would alert everybody else on the bus. The gorilla suit was bought for $200 dollars and was worn by a guy who was 5-foot-11 and 165-pounds. A far cry from the 7-foot 300-pound creature described. 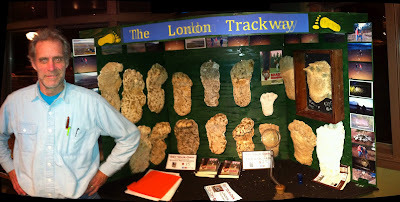 This story even had footprints made from a resin cast they created based on one seen in the book Sasquatch/Bigfoot: The Search for North America's Incredible Creature by Don Hunter and Rene Dahinden. MISSION, British Columbia (AP) - A furry creature about seven feet tall lumbered across Highway 7 near this Fraser Valley community Sunday and made some believers in the legendary Sasquatch. The sighting, 35 miles east of Vancouver, occurred as a Pacific Stage Lines bus driven by Pat Lindquist was westbound a mile east of Lake Erroch on the Harrison Hot Springs-to-Vancouver run. The passengers and Lindquist saw ahead of the bus a glimpse of something they all described as a seven-foot tall, 300-pound beast with dark brown to black fur or hair and a light-colored face. "At first we thought it was a prankster in a fur suit," said Lindquist, 28, a reserve Vancouver city police officer. "But people were shouting 'what is it, what is it', so I slammed on the brakes to have a look. "To tell the truth, I thought it was someone trying to con us so I took off after it. I guess I thought I was going to pull off his hat and bawl him out. I don't know why I did it. I'm not sure I really intended to catch up with it." Lindquist, who police here describe as "very nervous and pale" when they arrived on the scene, later described what happened when he gave pursuit. I remember when video games were the size of refrigerators and you were lucky if a character was made up of more than 20 pixels. The graphics had to be used so frugally and characters so small, video game developers called them sprites. Heck when I was a kid you could recreate video game characters out of skittles and still have enough left over to taste the rainbow. Now handheld video games have all the power to render 3D polygons with skin, texture, shading and lighting effects. If you can't tell if I'm being nostalgic or impressed by the power of technology then I have struck the right tone. In the video below is the newest game that contains an entire 3D universe, or at least a 3D campground in your pocket. The video below is adorable, sweet and just makes you feel good. Spend a few minutes and dream that you too can be secret friends with a Bigfoot. 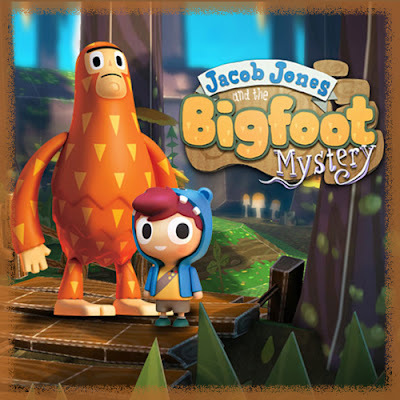 Jacob Jones and the Bigfoot Mystery follows young boy Jacob and the happenings during his time at summer camp, where he finds and befriends the Bigfoot of legend. Together the pair embark on a string of adventures, solving puzzles that will test players' logical, math, lateral thinking and observations skills. Although it was released yesterday for the Sony PS Vita, this This Thursday (May 16 2013) it will be available on your iPhone. There are basically two similar accounts for the story. We have pieced them together to create a continuous narrative. After the story check out some awesome concept art from the new Yeren Movie filmed last year in China. On the evening of May 14th in 1976 six local Chinese government bureaucrats drove down a rural highway in the Hubei province. As they passed Chunshuy, a village between Fangxian county and Shennongjia, they came across a creature illuminated by the car headlights. 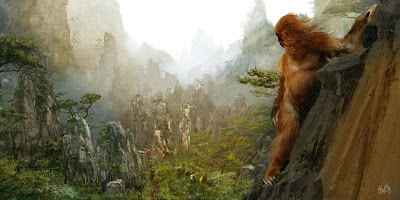 The creature was described as being tailless with red fur and recognized immediately as the Chines Wildman a/k/a Yeren. 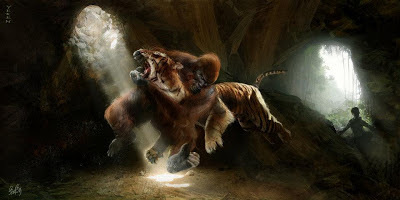 The Yeren made an attempt to flee, climbing a nearby embankment and escaping into the darkness. The climb was unsuccessful and the creature fell back into the glare of the headlights, crouching on all fours. Startled, a passenger threw a rock at the creature from behind and the creature ran off, this time successfully escaping from sight. This initiated a great degree of public interest, people writing in to report other sightings and groups of scientists and the army mounting expeditions into the forest. A massive expedition by the Chinese Academy of Sciences included a team of over a hundred members of scientists, photographers and soldiers. The team was equipped with rifles, tranquilizer dart guns, tape recorders and hunting dogs, worked in the area during 1976 and 1977, interviewing hundreds of people. Together with army scouts and commune members, the team organized several large searches, but (as is usual with such expeditions) they found nothing definite. At one point the expedition search party moved near to one of the creatures; unfortunately 'before the beast could be captured an anxious soldier accidentally shot himself in the leg. The shot brought expedition members scurrying in from all directions and presumably frightened the creature away. 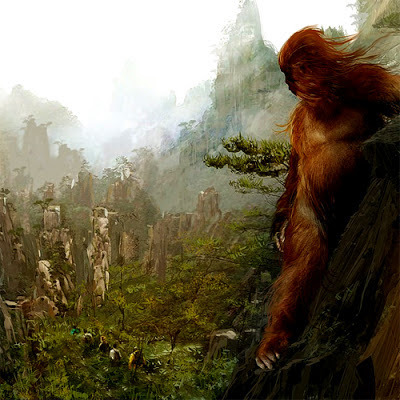 Check out the following fantastic concept art for the movie, "China Bigfoot: Legend of the Yeren"
Last Chance for you hard-core Bigfooters to get in on this sweet deal!!! The press release below is going out to all the local media. You get the first chance to read it and buy your tickets. Please watch the promotional video after the press release. Thank you to the After Hours Crew for creating the infomercial!!! 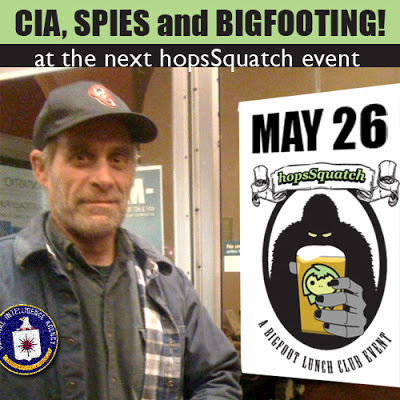 Become Bigfoot insiders learning what is on the horizon of Bigfoot research while having a beer with other Bigfooters at Portland’s Lucky Labrador Brew Pub on Sunday May 26, 2013 from 2-5pm with open discussion until 8pm. 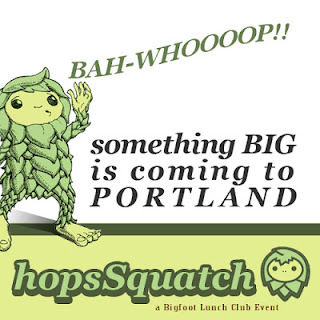 HopsSquatch is a unique speaker’s series bringing together Bigfooters and those that want to know. This month’s special guest is Bigfoot author Thom Powell. When Powell's Sasquatch book, "The Locals," came out, it was hailed as the first of its kind, "bringing Bigfoot research into the 21st century," by British biologist Karl Shuker. Many of his topics were considered outside of science at the time but today are considered mainstream. Recently, Powell has taken Bigfoot research even further, into the realm of spycraft. For over 6 decades, since the famous Patterson Gimlin film, Bigfoot field researchers have been using the same tactics without much to show for it. These same tactics are currently used on TV shows also without much to show for it. Is there another way to gather data and intelligence about Sasquatch? What will we be talking about ten years from now? 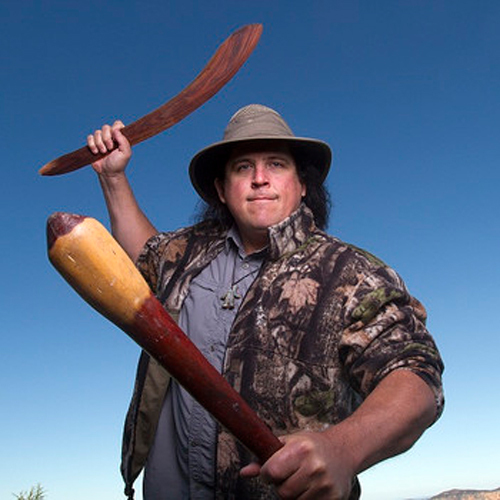 Thom Powell will share what is on the horizon for Bigfoot research. 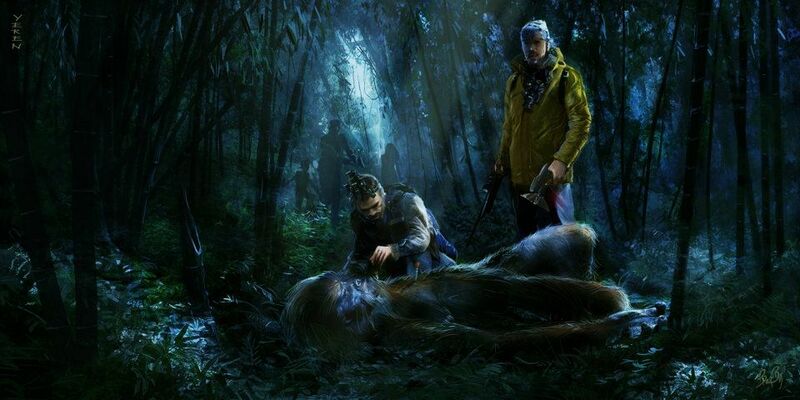 What can the CIA tell us about Bigfoot Research? 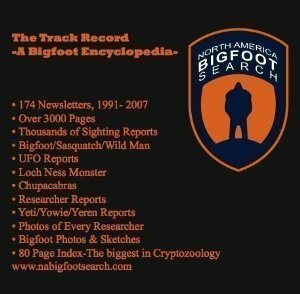 After Powell speaks there will be a panel discussion- Is there a campaign against Bigfoot Truth? 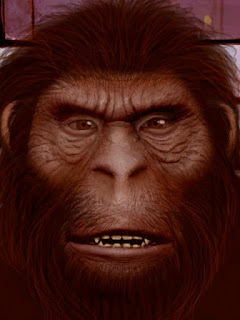 Authors Thom Powell (The Locals), Kirk Sigurdson (Cowslip) and a skeptic will participate in a panel moderated by Guy Edwards of Bigfoot Lunch Club discussing whether or not Bigfoot has already been discovered and suppressed by those in power. Don’t miss your chance to be a part of this historic event. Limited space available, only $5 per person to attend. The Lucky Lab Brew Pub is located at 915 SE Hawthorne Blvd, Portland Oregon 97214.
and used to film the most iconic footage of Bigfoot. On May 13th in 1967 Roger Patterson rented a 16mm Cine-Kodak K-100 camera from the Yakima Camera Shop. Although the rental was intended for only two days, we know Roger Patterson had it until at least October 20th of the same year. This was the date of the famous Patterson/Gimlin film when both Roger Patterson and Bob Gimlin filmed what appears to be a female Sasquatch walking in the Bluff Creek area. Our favorite part about Bigfoot research, is the ability to geek out on ancillary research that contributes to our larger set of Sasquatch knowledge. 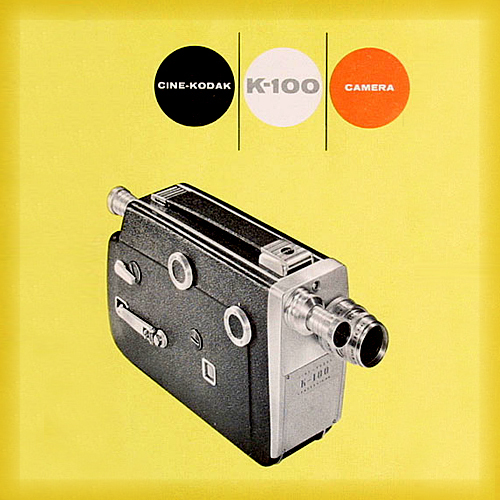 In this instance, the Cine-Kodak K-100 provides a lot of opportunity to disect the P/G film. Even better there is a man who has done the research for us; Bill Munns. Bill Munns has probably done the most research on the type of camera and settings used to captured the P/G film. In the self-titled Munns Report he describes he showcases how important the camera detail is in reconstructing the P/G film site. In his In the blurb below you can read Bill Munns reaching out to the cinematographer community. "...I immersed myself in the analysis of the film, I felt that building a digital model of the film site may help clear up some issues, and having 12 years now working with 3D visualization software, I felt I had a good background to attempt this. But in trying to build the digital model, I began to see discrepancies with the general report that the Patterson film was taken with a Kodak K-100 single lens camera with the standard 25mm Ektar lens on it. My analysis indicated a wider angle lens was necessary to replicate the filming, and the only wider angle lens made by Kodak (and having the appropriate viewfinder companion lens) was the 15mm Ektar. So I tested building the digital site model using the 15mm lens specification, and it assembled quite splendidly, and very accurately, in terms of locating seven distinct camera positions and matching them in the digital model so the digital model renderings overlay the actual film frames exceptionally well." Bill Munn's continues to work on the P/G Film. There is a recent effort to raise funds for a documentary he's working on called, "When Roger met Patty". 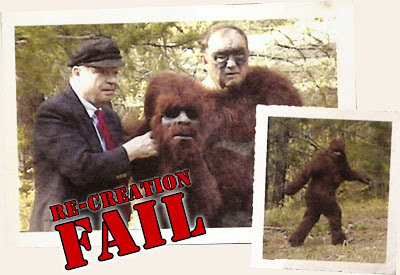 Bill Munns is a Hollywood creature designer, 3D computer graphics professional, and arguably the foremost expert on the Patterson/Gimlin film. Bill Munns is campaigning for funds and planning the production of a feature length documentary touting, "the remarkable truth of the Patterson/Gimlin Film, and the Bigfoot/Sasquatch phenomenon." According to Bill Munn's video on IndiGoGo (see below), his goal is to produce something worthy of submitting to the Academy of Motion Picture Arts and Sciences (AMPAS), a/k/a the Oscars. He believes this level of visibility will encourage mainstream media to take notice and raise the bar for intelligent discussion. The documentary, by it’s vary title, seems to be focused simply on the PGF event, but it will equally give abundant attention to the many other respectful research efforts ongoing today. 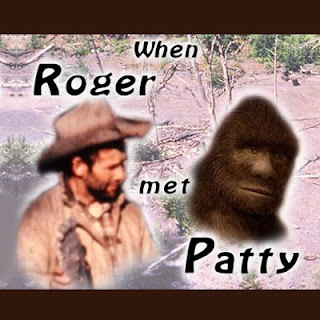 But an excellent documentary feature tells a story the audience can relate to, and the concept I have chosen is to first take the one most powerful event in Bigfoot/Sasquatch lore and show why, beyond any doubt, it is a real event, and then, with that established, expand the story to the current research efforts, their accomplishments and their challenges as they continue. So the PGF, the event where Roger Patterson met and filmed the entity we call Patty, that is the title centerpiece of this story, and effectively sets up the discussions of current research. So please do not think this project neglects the many fine research endeavors currently ongoing. The PGF focus in the title is simply what in great narrative program structure is referred to as “the hook”, that element which catches the public and mainstream media’s attention and holds on, so they will continue to watch and learn about all the other fine research projects today. I’ve already got 5 years of concentrated effort in the PGF analysis, some wonderful scientific research that was funded by the Cestone Foundation through the greatly appreciated assistance of Prof. Jef Meldrum, and I’ve got about 15 hours of HD video already accumulated as potential footage for the documentary. So I’m well positioned to reach the goal. But producing a feature documentary that is eligible for Academy Award consideration and festival submission is a major undertaking, and needs some financial support. So that’s what I’m asking for now. Munns also describes a the documentary approach and a possible second episodic format for perhaps television. A great documentary tells a story in a focused and concise way, The documentary program concept recognizes that the PGF is the most familiar event in the mind of the general public and media, so the program leads with a definitive summation of why the PGF is real. Then the program branches out to examine the many new technique and new technologies being applied to this elusive entity we call Bigfoot or Sasquatch. I have commitments for interviews with Jeff Meldrum, Brian Brown and the TBRC/TWARC field studies, Bart Cutino and his thermal studies, and The Olympic Project’s remarkably diligent field studies. Second, the production concept is that researchers, not TV program executives, should control the editing and content decisions. TV Program executives have lost sight of reality and responsible science and can’t resist program eye candy and sensationalism, out of context, over science in context. 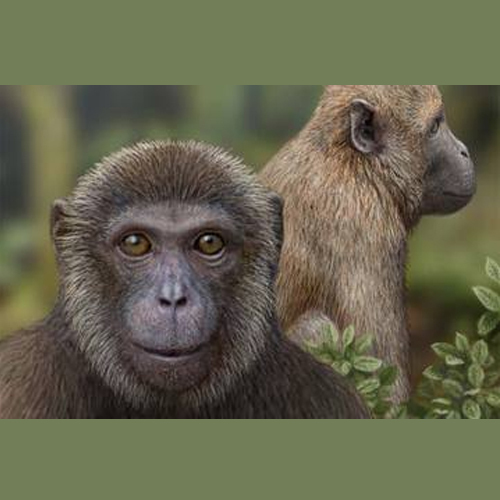 The story of this remarkably mysterious entity must be told with sincere respect for the real science, the real research, and the real challenges of bringing this entity into a position of biological science recognition. The content decisions and the final edit must be in the hands of researchers. This program will be. One of the unique aspects of this project is that it recognizes that studies of this topic need different levels of detail and varying presentation times for different audiences, and so the final program result will be set up with four levels of comprehensive information. Watch the video produced for IndieGoGo crowdfunding site below. Thom Powell will headline Bigfoot Lunch Club's Bigfoot and Beer speaker series on May 26th. Until we met Mr. Powell it was hard for us to bridge the gap between the value we put on physical evidence and the relevance of the more paranormal aspects bigfooting. Thom Powell's "Spy" paradigm comes close to bridging that gap. He proposes that our efforts would be best spent gathering information, like the CIA does, as oppose to trying to do hard science that requires us to duplicate results. In other words, Bigfoot is an unwilling uncooperative subject and we could gain better traction doing intelligence gathering. Watch author Thom Powell in the video above as he uses his trademark self-effacing charm to encourage a paradigm shift among bigfooters. Also in the video are topics Powell breached over a decade before they became casual conversation among Bigfooters. 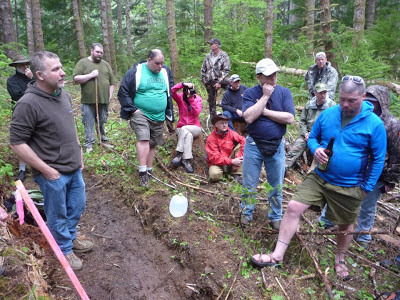 Want to know what the next decade has in store for Bigfoot research? Come see Thom in person at the May 26th hopsSquatch! May 26th hopsSquatch Tickets are on sale!! !